I can’t believe it’s time for school to begin already! Most of you probably have a few more weeks of summer, but here in the desert, it’s back-to-school time. For me, that also means it’s time to get back to blogging. This summer, I had great plans to write dozens of blog posts, redesign my site, and even launch a new one (KidFriendlyGlutenFree.com), but none of that happened. Instead, I had a great summer playing with my kids, and it was worth every minute! We’ve had a lot of fun, and now I’m ready to get back to work! My kids got their back-to-school classroom assignments today, and now we’ll get to work preparing for a successful first day. New classrooms, new teachers, and new classmates make some of my kids really nervous. (They make me nervous, too!) In the next few days our family will be working a lot on how to make friends. We’ll be going over the tips I’m about to share and doing lots of role-playing. We’ll also be getting our Back-to-School Friendship Game ready for them to play during the first week of school. 8 Tips for a Great First Day! SMILE! I know that sounds like a small thing, but it’s huge!!! One little smile goes a long way. Remember that most of the kids at school are feeling just as nervous as you are, and they are looking for a friendly face! Hold your head up high and be confident. I know you might be feeling shy, but staring at the ground will not help you make friends. When others see you looking down or keeping a big frown or worried look on your face, they won’t realize that you are shy. They will simply think that you don’t want to be their friend. Remember, you are a child of God. You are something special! People will be as excited to get to know you as you are to get to know them. Look people in the eye, and say hello. No one likes to feel invisible (like they are in the room, but no one sees them or cares that they are there). When you look people in the eye and say hello, you immediately make them feel more comfortable. Instead of looking away when you catch someone’s eye, look right back at them, smile, and wave or say, “Hello.” Trust me. It works! Introduce yourself. Did I mention already that you are someone special? So are the other kids you will meet. There is no reason to be afraid that they don’t want to meet you. Be brave. Think how you feel when someone makes an effort to talk to you. They’ll feel the same way when you make an effort to talk to them. Here’s how you do it: “Hi. My name is ___________. What’s your name?” Easy, peasy. Invite someone to sit by you or to play with you. Are you nervous about who you will sit by at lunch? Are you afraid you won’t have anyone to play with at recess? So are the other kids! Look for someone who doesn’t seem to know anyone. They’ll be grateful for the invitation to play or to sit together. Be happy and positive. No one likes to be around someone that is always grumpy and negative. Look for the good things about situations and other people. Choose to be happy, and your happiness will spread. Kids will want to be around you because of your cheerful attitude and smiling face. Now that you know the techniques, it’s time to practice! You might feel silly at first, but you’ll be a pro in no time! Ask your family to pretend to be your classmates. Hold your head up high as you enter the room, and pretend you are at school. Practice smiling and starting conversations with your family members. Take turns. Practice what to do when someone comes to talk to you and how to start a conversation. Want to be sure you don’t chicken out on the first day of school? Try one or both of these games to reward yourself for setting goals to make friends. This game contains seven challenges to help you make friends during the first week of school. After school, you can get a treat for the challenges you tried! Once you’ve successfully completed the challenges from the first game, try version two to get you talking to new friends with ease! So, why do I care so much about this? If you think back to the kids you really liked growing up (or even the adults you like today), what do you remember? Do you remember that they always wore the cool clothes and had the coolest hair, or do you remember that they smiled and made you feel special? I’m just going to make a wild guess that you remember them for the way you felt about yourself when you were with them. * Joyce, the awesome grandma behind WhatHappensatGrandmas.com, read this post and summed up things up perfectly. She said, “People like those who they perceive as liking them.” Thanks, Joyce! I think you got it exactly right! And just because I think that siblings make the best friends, I’ll share one of my favorite pics of my kiddos. I hope all goes well with the first day of school in your neck of the woods! I finished the lockers to keep the backpacks and jackets off the floor (finally)! I’ll be sharing them soon! I’m glad you stopped by! Feel free to share your ideas for making friends in the comments. 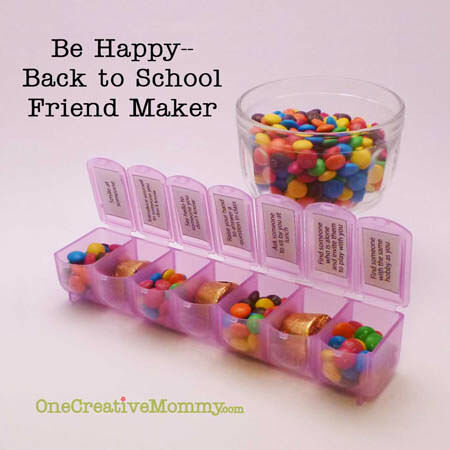 Looking for more back-to-school ideas? Try some of these. Images are linked. Thanks, Kelly. The pics from this post are about three years old. I wish that those two daughters got along as well now as they did then. Now my youngest two daughters are best buddies (instead of the oldest two). I’m sure the dynamics will change a lot as they get older, but I do hope that the end result is that they will be great friends and can rely on each other when they are teenagers and adults. Don’t give up hope with your kids. I think that simply recognizing that they should be watching out for each other would be a good first step. You have given some very wise advice! I especially like #7 in the first section. Too many kids focus on “poor me, I had no one to play with today.” The trick is to find someone else to INVITE to join you! I remember a statement from Sociology 101 that has never left me – “People like those who they perceive to like them.” This summarizes your entire post! The picture of your daughters is lovely and the three of them will eventually bond. 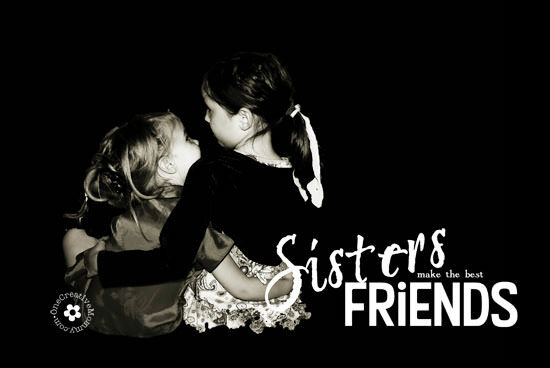 I always told my 3 daughters that, “Friends will come and go, but sisters are forever.” My proudest moment as a mom was when one daughter included this in her maid-of-honor speech at her sister’s wedding! Joyce, I love both of your quotes! I think I need to find a place in my house to put up the “Sisters” quote. Hmmm. I’m sure I can find a place. I may just have to add your other quote to my post. It’s perfect! Thanks for visiting and commenting. Heidi, I keep thinking about that “friends” quote and I know it needs to be rephrased! It is awkward that way. It probably should say, “People like those who they perceive as liking them….” Does that sound better? I still don’t know! Hi! Do you have any tips on what to do or say to your child if the other child doesn’t want to say hi or isn’t nice to them? My daughter is in preschool and she makes friends pretty easily but there are times when, for whatever reason, the other child doesn’t respond or responds in a way that isn’t kind and my daughters feelings get hurt. Besides me feeling like warrior mommy at that point, how can i tell/show her to deal with it without being hurt by it? My husband asked me the same thing. We try to tell our girls that sometimes kids might already have someone to play with or might rather play something different than what they want to play. If that happens, instead of letting it make them feel sad, they might just smile and say something like, “Okay. Maybe we can play another time.” Then they can look for someone else to invite to play. I wish there was a magic answer for that one. I try to tell my kids not to take it personally, and not to let it take away their happy attitude. I wish I could say that it always works, and that my girls never get their feelings hurt. Not true. I just hope they’ll get more resilient over time. 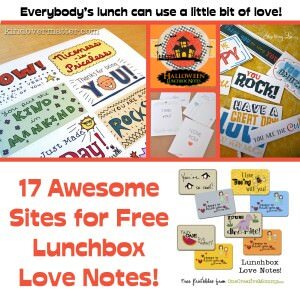 I love that way you are direct teaching making friends – I could definitely use some of these ideas for my Kindergarten students! Thanks for sharing this:) Pinning! Great tips. I wish I had known these when I was younger. I was so painfully shy! But I’m determined to do better with my own kids. Thanks for sharing. Thanks, Erika. Good luck with the new party! These are great tips! My four year old will be starting school soon and sometimes is pretty shy. These are easy enough to explain to her and I think some of the techniques will really work. I’m stopping by from Create It Thursday (#109 Chocolate Covered Pretzels) Have a great week! Good luck, Carrie! I have a couple of shy kids, too. I’m off to check out your pretzels. Thanks, Danielle. Sorry you had to move so much. I bet you became an expert at making friends! I just popped over to your site and visited your squash post. I had no idea squash leaves were edible!! Thanks for stopping by. What a great reminder to teach little ones these skills! Featuring at Family Fun Friday! Thansk, Monica! I just shared your post on twitter. 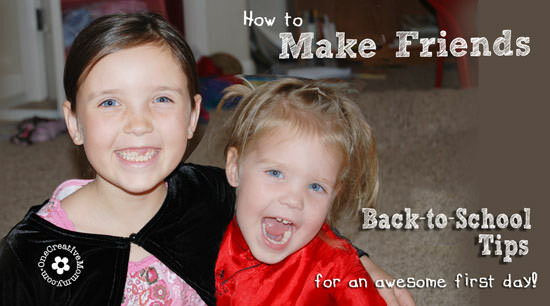 These are such great tips to help your kids make new friends and have a great new school year! Thanks! Thanks, Marilyn. And thanks for the great party! Great tips and story, Heidi! I would’ve never thought that feeling insecure and staying to myself could translate to “they didn’t say hi so they don’t like me”, but it totally makes sense. I know I have thought that about some people and now I wonder if I was passing judgement that didn’t belong! I know I will try to say hi a lot more often now, even when I’m not feeling at my best! 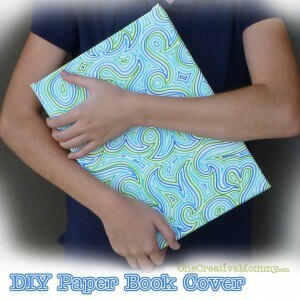 :) At any rate, this is a perfect addition to my Back-To-School link-up! Thank you so much for sharing! Thanks, Julie. Isn’t it funny how body language can be taken the wrong way? We don’t often realize the things we are saying without speaking. It’s a good lesson to not be judgmental, too! Thanks for the reminder. 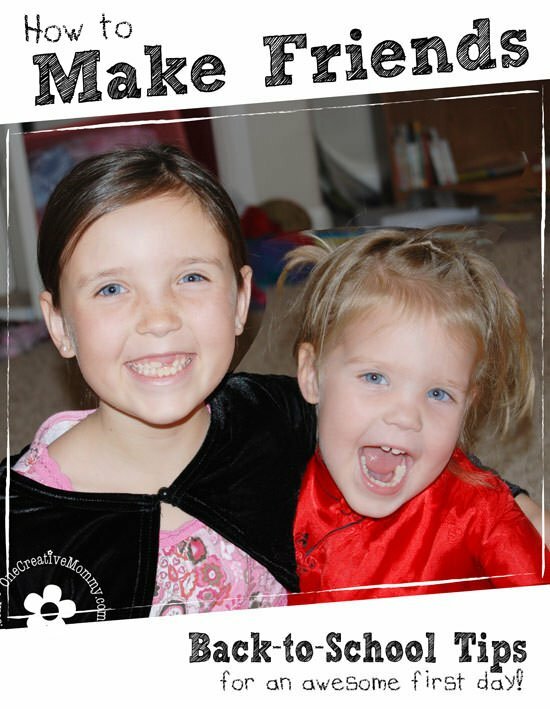 Great tips to help kids make friends those first few days! Pinned it! Thanks for visiting and commenting! I’m happy to have you here. I hope you’ll be back. Thanks, Amber. I’m so glad you found my site. Of course you can use the advice!!! My girls had such a fun playing with your kids this summer. Good luck with your activity! These are great tips! 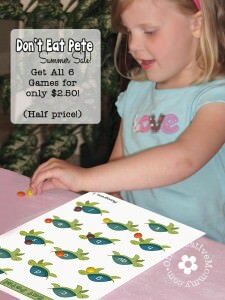 What a great way to help kids learn how to make friends. The role playing is such a good idea, it helps them to be more confident when they go to a new place, like school. Thanks for linking up with Hump Day Happenings! This post was perfect for our “friendship” theme this week. Thanks so much, Jenna. Don’t know how I missed this comment back in May! We love to practice the roll playing before school every year! These are some super practical tips, I am pinning the post to remember it one day when I have kids. Plus its great to bear all this in mind on my own ‘ bad hair days’ :) Visiting from hump day happenings. Thanks, Corlie. I wish those bad hair days went away after the teenage years. Wouldn’t that be nice? Thanks for visiting and commenting. Great tips! I’m going to read this to my daughter. She always forgets to introduce herself. Thanks, Heather. Sometimes I forget, too! I guess we all need reminders sometimes. Love this! My daughter’s first day of Kindergarten was yesterday and she came home and said, “It is so easy to make friends. You just talk to them and they talk back.” So cute and innocent. This is great for me to talk over when with her when it gets tougher!! 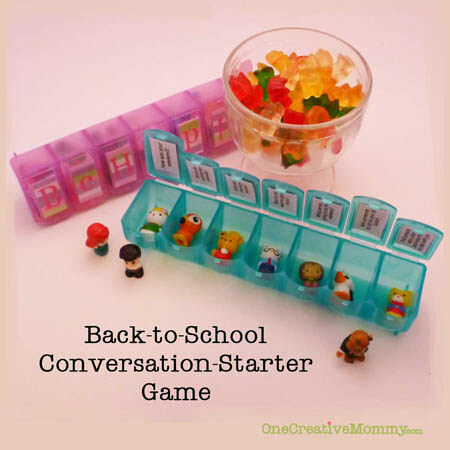 Our back to school days are a long way off yet but if my daughter continues to be as freaked out by strangers and change as she is now I’m going to need these tips! Good luck, Clare! Practicing now is a great way to avoid problems when the kids get older. I wish I hadn’t let my oldest hide behind “shy” for so long. New day at school can be very frustrating for children. Trying to adapt again after holidays or even to a new school environment brings tremendous anxiety in their tiny shoulders! Thanks for all the helpful tips! Also, thanks for coming and linking up at The Weekend Social. All posts get pinned in our pinterest board! Please be sure to come back next week starting Thursdays at 9PM EST on culinaryflavors.gr ! I hope to see you there! Thanks so much, Katerina. I definitely agree that school can be frustrating. That’s why we practice these skills every year with the kids before school. Great tips Heidi on how to make friends when you go back to school. Thanks for sharing them! You’re welcome, Megan. They sure help my shy kiddos! Wish we had this post when we were kids. 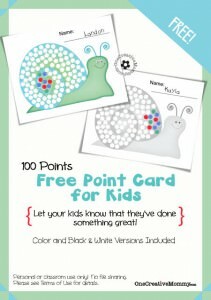 What a great way to help kids! Thanks, Jennifer. There are a lot of things I wish I knew back when I was in school. You couldn’t pay me to go back and try it again, though! Good tips as my kids are starting new schools this year so it would be helpful for them to read this! Thank you for linking up to the Bloggers Brags Pinterest Party. I have pinned your post to the Bloggers Brags Pinterest board. Thanks for another great party, Debi and Charly! Have a great week. Thanks so much, Jess. I hope you have a great week! I love these tips! There is so much pressure on the kids these days. I was extremely shy as a child so I can relate to every one of your points. Thanks for sharing with Creative Spark Link Party. Thanks, Glenna. I have a pretty shy kid at my house. She gets better and better at back-to-school every year. These tips really help. Thank you sooo very much Heidi!! My nine year old son just had a complete meltdown with full blown alligator tears and sobs!! It was out of nowhere and out of his character so I asked if he was nervous about school starting? He replied in between sobs that he has no friends and is very nervous about making any this year. This broke my heart and took all my strength not to tear up along with him. He is a very like able social boy who has often been in trouble for chatting too much, so I didn’t understand this at all!! Well we found your blog and after we read your list together he was smiling again! I think hearing from someone other than mom that others are nervous as well and that he is special really helped! I’m so sorry I didn’t see this comment back in August, Coni. I just found it today, and it really made my day that my ideas helped your son feel better about starting school. I hope he is having a great year! Thanks, Julie. I hope these tips help you. Learning to make friends and to be a good friend is worth the effort! Remember, you are just as special as everyone else. You have talents and abilities that are unique to you, so hold your head up high, and smile! and also your children are really cute !!!! This is such a great post. My daughter is often shy with new people and I wish I had found your post sooner to give her these tips and try the game with her. I think it really would have helped her this year. Thanks, Yazmin. It’s not too late! It’s easier if you start before the first day of school, but it’s still fun to do at any time. Good luck! I was pondering as to how to deal with lonliness tomorrow until I came across your lovely blog. I’m so glad you found this helpful, Jake. Hope all is going well at school.